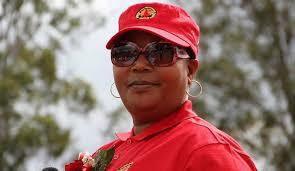 THE Thokozani Khupe-led MDC-T yesterday described the manner in which the Zimbabwe Electoral Commission (Zec) is handling the forthcoming elections as catastrophic, but said boycotting the poll is a non-starter. Khupe’s deputy, Obert Gutu told NewsDay in an interview that the lack of transparency in printing of ballot papers was tantamount to setting an examination for students without having given them a syllabus. He said his party was not satisfied with Zec procedures, at a time when other opposition parties like the MDC Alliance led by Nelson Chamisa have engaged in protests over the manner in which Zec was handling the elections. “We are not satisfied with the Zec process, but we have not resorted to demonstrations like the MDC Alliance because we have different tactics of dealing with the problem,” Gutu said. He said the mistrust began when Zec allowed the Nomination Court to sit on June 14 without a voters’ roll. “It was the start of all problems and it is like writing a history paper when you do not know which syllabus it is and whether it is African or European,” Gutu said. He said the issue of the printing of ballot papers is a serious one because all political parties need to know its security features in order to be sure that they cannot be tampered with. “This is the age of information communication technology (ICT) and even money can be printed into fake notes, and so security features are critical and ballot paper is a high security document. Zec needs to eliminate all doubts,” Gutu said. He said the controversy over ballot papers and the voters’ roll will raise issues of legitimacy and cause instability in the country which will hinder economic development.